Senior Congress leader Digvijaya Singh’s decision to contest from Bhopal has forced the party to tread cautiously in fielding its candidate in the constituency, considered to be a stronghold. THE BJP appears to have a twin problem in Madhya Pradesh in finalising candidates for the Lok Sabha polls. 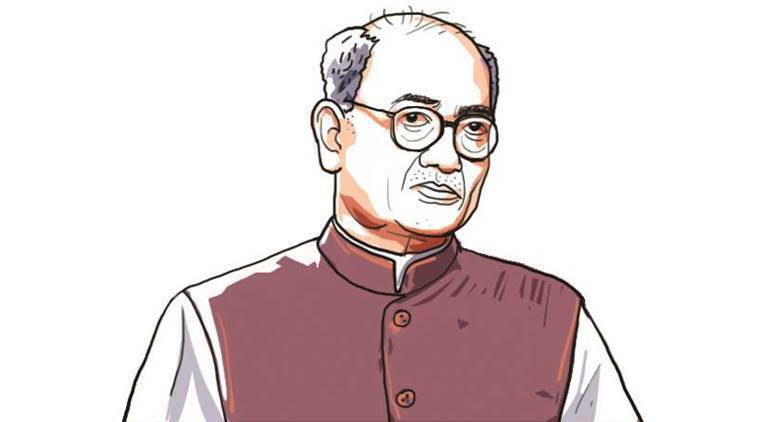 Senior Congress leader Digvijaya Singh’s decision to contest from Bhopal has forced the party to tread cautiously in fielding its candidate in the constituency, considered to be a stronghold. The names that have come up for consideration in the initial reports have not pleased the leadership. The party is facing another situation in Indore, where Lok Sabha Speaker Sumitra Mahajan, who has been winning the seat since 1989, appears to be out of fray. BJP strongman in Indore, party general secretary Kailash Vijayvargiya, is busy electioneering in West Bengal. With the party leadership desperate to put up a good show in West Bengal, Vijayvargiya is almost indispensable there, said party sources. The ball is in the court of top leadership now. CHIEF ELECTION Commissioner Sunil Arora was recently thanked by former Chief of Naval Staff L Ramdas in a letter for the EC’s directive prohibiting political parties from exploiting defence personnel and their acheivements for political gain. While Ramdas’s letter of appreciation was expected, since the action was initiated after his first letter to Arora flagged misuse of Wing Commander Abhinandan’s return, another received from PETA was unexpected. Apparently, PETA wrote to Arora recently thanking him for being sensitive towards animal rights by including a ban on use of animals in poll campaign in the manual on Model Code of Conduct. HANS RAJ Hans, the singer-turned-politician who attended Prime Minister Narendra Modi’s “Main Bhi Chowkidar” programme at Talkatora Stadium on Sunday, had to take a walk from the venue to his car, parked some distance away, after the event — and oblige fans who wanted selfies with him on the way. As the Punjabi singer was walking through the traffic, a few fans stopped him with a request for selfies. With heavy traffic congestion on Talkatora Road after the event, senior BJP leader Shahnawaz Hussain was also spotted taking a walk to his vehicle. 1 Delhi Confidential: Waiting In Wings?